Have a look at some of the brilliant things our pupils have been up to over the last month! CREATE Education delivered the Inspired Minds Event at the 2018 TCT Show, supported by their partners Autodesk and Bloodhound Education. The TCT Show is one of the world’s leading design-to-manufacturing events focused on additive manufacturing, 3D printing, design and engineering technology, with over 300 exhibitors and 10000+ visitors. The show took place over 3 days in September and during this time over 300 students from 12 schools were invited to participate in the Inspired Minds Event. We were lucky to be one of the 12 schools invited along to the event. 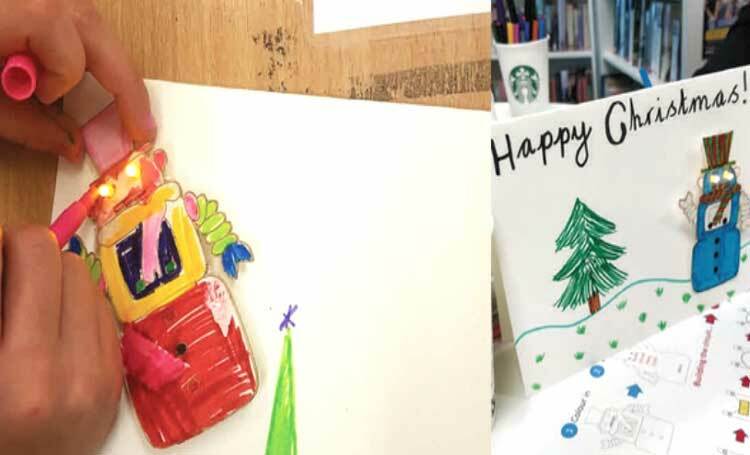 We’ve been fortunate enough to work closely with Warrington LiveWire Libraries to offer some FREE digital creative workshops. These sessions conducted by SPARK @ Penketh were offered to everyone through Orford Library. We’re passionate about providing everyone with the opportunity to digitally up-skill and extend their learning beyond classroom-based subjects. 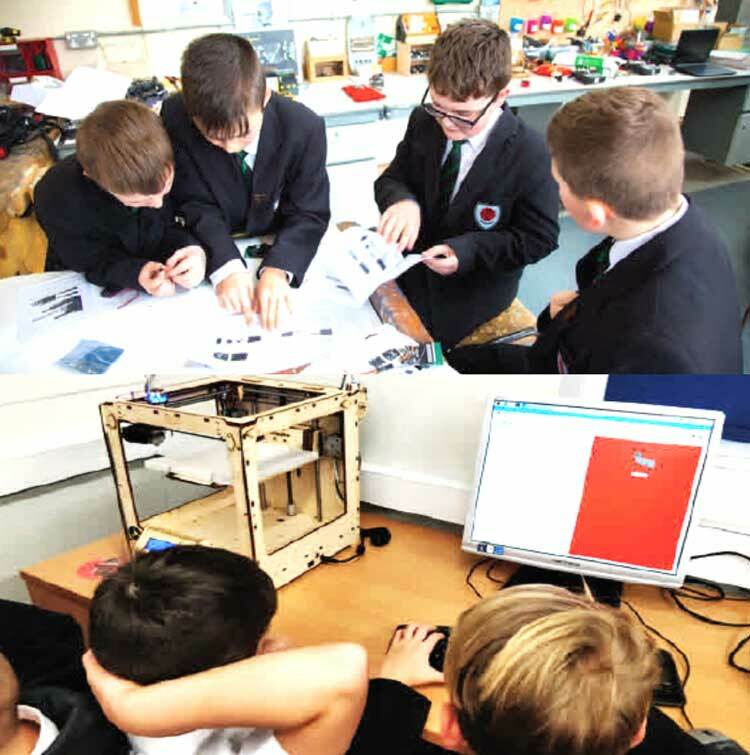 Whilst our pupils are lucky to have this opportunity at Penketh, the first state school to open a makerspace, we’re pleased to be able to extend these opportunities to the wider Warrington community. It’s always pleasing to be able to work with other local schools and collaborate to provide young people in our community with opportunities to engage in learning. Working with Great Sankey Primary to set up a coding club for their pupils has been very rewarding and well received, with the club being oversubscribed! There is also work being done to establish a coding club in another local primary and it is well underway! This year, pupils across Year 7 –10 have been able to access digital up-skilling sessions as part of their classroom-based learning. For an hour each half term pupils have challenged themselves in engaging with concepts and learning opportunities not offered by traditional classroom-based learning. First up this half term was rapid prototyping, with pupils being able to design and then refine a digital product. This focuses on learning characteristics with an emphasis on resilience; getting things wrong but persevering to achieve a goal. Having had a successful Student Council over recent years and valuing pupil contribution to school life, we wanted to enhance the opportunities available for pupils to represent their fellow students. 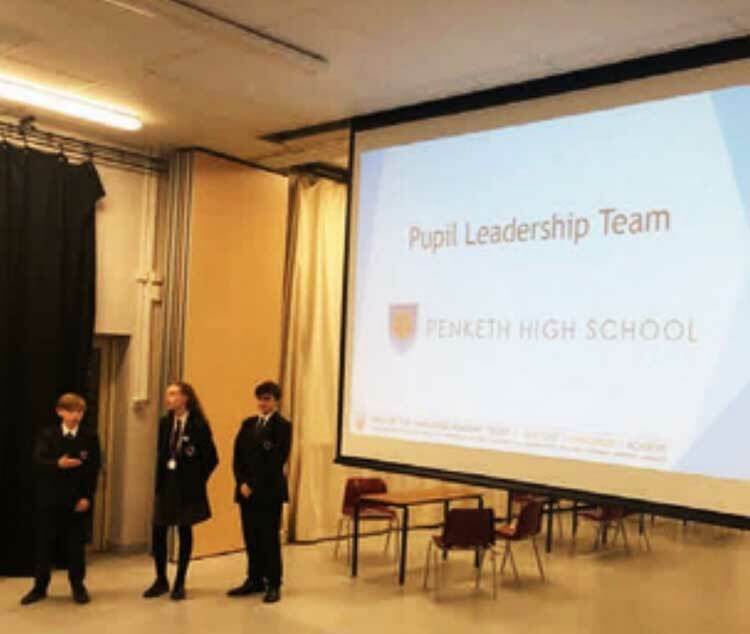 The new Pupil Leadership Team widens the scope of our pupil representation and, significantly, includes sub-committees that can contribute pupil voice around matters such as transition, rewards, community, pupil care, enrichment and academic performance. Pupils wishing to represent the main PLT board had to apply and interview for positions in what was an extremely competitive process. Lewis in Year 11 and Caitlin in Year 9 were appointed as President and Vice President of the PLT and are ably assisted by 135 pupils in total, meaning that 15% of our pupils have been appointed to represent our student body. The various committees and sub-committees meet regularly and the full PLT have already met for a breakfast meeting with the Principal with some really impressive strategies being tabled by pupils. The Pupil Leadership Team also represented our pupils during their first official engagement, presenting at our recent parental forum. The school were thrilled to welcome some visitors from Mexico to the school this half term. The group on a cultural exchange with a local church provided the pupils with an opportunity to exchange cultural experiences and develop a wider understanding of how life for young people in other countries differs from their own. Our visitors delivered some lessons in Geography, Spanish and Learning for Life before meeting with our Pupil Leadership Team. Our new Mexican friends really enjoyed their visit and we’d like to wish them well on their journey home. The recent construction works at ASDA Westbrook uncovered a time capsule that had been buried by Penketh High students and ASDA staff over twenty years ago. Unfortunately, the conditions underground meant that a large amount of the contents buried had been damaged leaving only a few recognisable items which included a school pen, jumper, a newspaper article about the Spice Girls and some ASDA staff uniform items. Members of the school Pupil Leadership Team were invited along to inspect the findings and as a result decided to collate their own time capsule which was buried by the current contractors as part of the works. Pupils were keen to ensure that the contents of their capsule survived a little longer so hope the protective materials will provide better protection from the elements! In September, a group of pupils took part in a 5-day residential at Jamie’s Farm in Monmouth, Wales. On day one, all mobile phones and electronics were handed in and pupils were prepared for a “back to basics” experience without the distraction of social media, sugar and energy drinks! They worked on farming jobs such as mucking out, tending to the animals or cooking dinner from the freshly grown vegetables in the garden. They worked on the farm from 8am until 6pm and then took part in a challenging 3 to 5 mile walk every day. Evenings consisted of family activities, such as playing games, watching TV or helping to clean up in the kitchen. Over the five days the pupils grew in confidence and showed perseverance and resilience as they overcame obstacles to achieve things, they never thought possible. Since our return the farm staff have visited the pupils to share in their successes since returning to school and remind them of what is possible when they put their minds to it. We are all extremely proud of what the pupils achieved on the farm and the pupils certainly should be too! 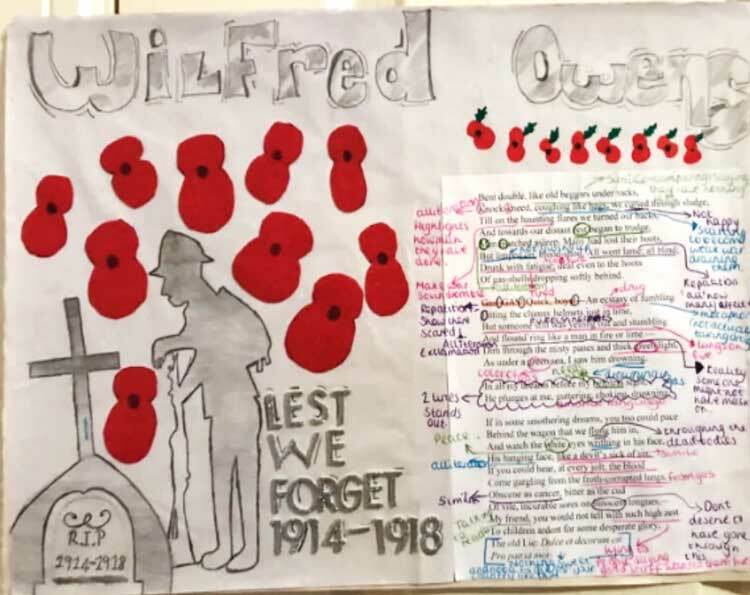 Mrs Mollatt’s Year 8 class have thoroughly enjoyed taking part in the Wilfred Owen competition organised by The University of Oxford. The competition comprised of the class researching Owen and learning about his journey throughout WW1 through his poetry and diary entries. This competition was to mark the centenary of Owen’s tragic death in the weeks before the war ended. The pupils produced some fantastic entries for the competition and have thoroughly impressed the Oxford lecturers – Dr Stuart Lee said “I have worked at the University of Oxford for nearly 28 years and it’s moments like this that I will remember. Thank you, Penketh High School,” This is a fantastic achievement, which has really enriched pupils with the history and the importance of WW1 Literature. The standard of the pupil work was incredible and one of our pupils, Shanae, won one of the “Highly Commended” prizes. Mrs Mollatt, who coordinated the Penketh Entries, was exceptionally proud of her class and of Shanae’s winning piece, as are the whole school. We’d like to pass on our congratulations to our Year 8 pupils and to Shanae who should be proud of her achievements in a national academically orientated competition. This term pupils from the school performed our annual production. This year it was Mary Poppins and over 50 pupils contributed to putting on a spectacular show. The quality was exceptional with many of those in the audience commenting on the professionalism and talent of our outstanding young people! We were also pleased to be able to welcome some local senior citizens to the performance, with a group of pupils providing an afternoon tea service before the show, which included cakes baked by pupils. We were honoured to be able to represent our young people at this year’s local Remembrance service which commemorated 100 years since the end of the Great War. Pupils from the school were keen to pay respects to those from our local community, as well as those from around the world, who have fallen in conflicts. We were honoured to be asked to lay a wreath during the service.